The hit 9/11-themed musical, which played to record audiences in 2015, will be on stage in one of the Shubert theaters in March. 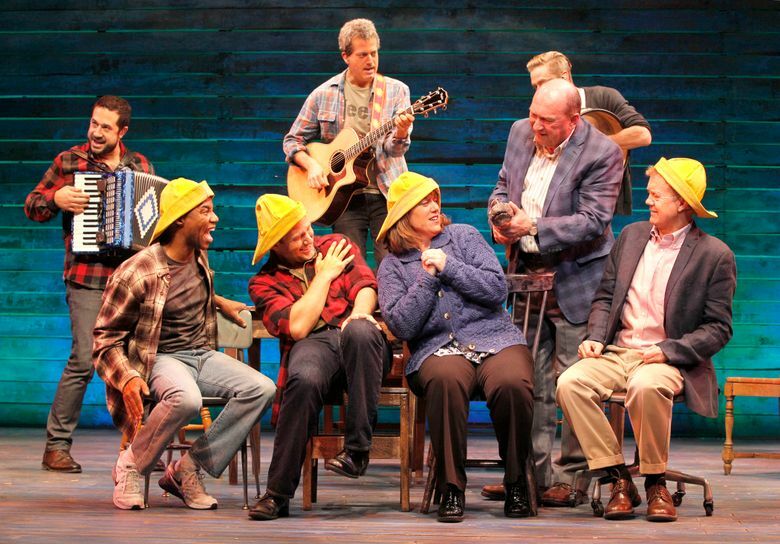 The musical “Come From Away,” which delighted droves of Seattle Repertory Theatre patrons in 2015, has a firm date with Broadway. It will arrive at a Shubert theater on Feb. 18, 2017, according to Playbill. Opening night will be March 12. “Come From Away” illustrates, in one act, a small Canadian town’s response to the 9/11 terrorist attacks on the U.S. “We’re there at a friendly Gander cafe on the morning of Sept. 11, 2001, as the town learns of the terrorist attacks — and the 38 commercial flights set to arrive imminently at their sleepy airport,” then Seattle Times critic Misha Berson wrote. The show was written by Irene Sankoff and David Hein, and was a coproduction of Seattle Rep and the La Jolla Playhouse. The Broadway cast will include Chad Kimball, Jenn Colella, Joel Hatch, Rodney Hicks and Kendra Kassebaum.